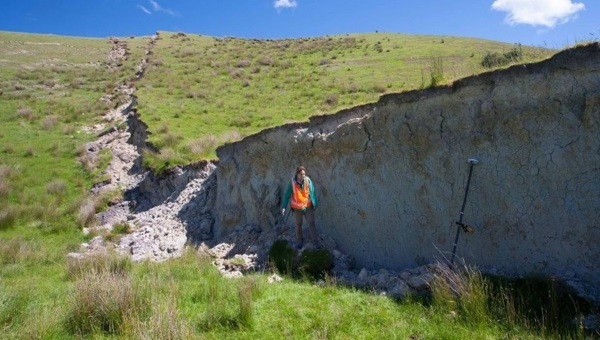 Dr Kate Pedley is a Lecturer (Teaching & Admin) in the Department of Geological Sciences at the University of Canterbury. Her teaching experience spans 14 years. Her current research projects include; mapping and characterising the fault rupture effects of the Mw7.8 Kaikoura Earthquake in the Waiau region; designing an interactive Earth Science Garden for the UC Campus; tracking student engagement response to virtual fieldtrips in tertiary education; and geomorphological mapping of the Waimakariri glacial sequences. Kate started taking photos at the end of 2003 when her parents bought her her first camera to use for geology fieldwork. Kate very quickly got distracted with the camera, using it for more than just documenting her research sites and a love of photography was born. While she has dabbled in all sorts of photography genres over the years, she keeps coming back to geological landscapes and particularly enjoys using her images for geological awareness, education and capturing the beauty of Planet Earth.